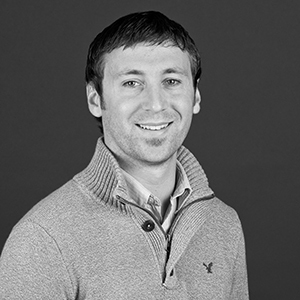 Thomas Peck is a senior designer with over a decade of professional experience, providing leadership on a diverse range of projects, including mixed-use, multifamily residential, commercial office, and civic buildings. This foundation affords him the ability to provide expertise in repositioning, complex renovations, and new construction. He brings a rigorous collaborative ethic to every project, and is adept at identifying the possibilities and creative solutions that further a client’s vision. "I care about the details just as much as the big idea...they are ultimately connected." something that doesn't require explanation to relate to it; you see it, touch it, experience it. It's honest, has integrity and is beautiful because it enables and encourages life. It's everything that it could be and should be, nothing more and nothing less. a furniture designer/maker, comic artist, comedic sports analyst, or magician (ironically, a somewhat accurate description of what I do). anywhere, as long as it is with my wife... Autzen Stadium, Maui, and Excalibur Comics are all close seconds (and she's usually with me).